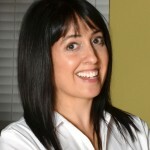 Hello, I’m Suzi Berman, creative director for D Media. I’d like to introduce you to our agency. D Media is a 100% woman-owned, boutique agency specializing in marketing tactics. We have spent 15+ years providing quality creative and technical solutions, freeing up our clients to do what they do best instead of worrying about their marketing. At D Media, we take our professional responsibility to every client seriously. Our goal is to be detail-oriented, deliver quality work, take a hands-on approach and build a strong working relationship with each client. We are conscious about budget and time constraints. That’s how D Media has earned a reputation for being dependable, client-service oriented, financially responsible, as well as highly creative. I invite you to start a dialogue with us to see if we are a good fit for your digital marketing needs. Thank you for your interest in D Media and have a creative day!